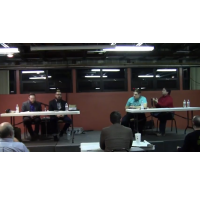 Debate: Is Belief in Christianity Reasonable? 2 Comments to "Debate: Is Belief in Christianity Reasonable?" Hi all my fellow Atheists. Being disabled I have been unable to attend any events or meetings. Thank you for keeping me informed. I was raised by Southern Baptist Evangelicals. By age 6 yrs. old, I couldn’t believe what I heard at Church. I never prayed or read the Bible. Dad made us sit at home while he read Bible verses that I mentally blocked out. I had to listen to their lies on Sunday Morning/ Sunday Night/ and Wednesday night. I never knew Atheism was a real thing. I just knew my family made no since to me. Years later I came across Richard Dawkins in You Tube and found out I was correct in believing in Reason and Science. What an exciting moment to find out their were many other good speakers who were Atheists.